The American punk music icon talks about her photo exhibit Camera Solo in this 2013 interview with Eleanor Wachtel. Patti Smith might be best known as an icon of American punk rock, but she is one of the rare musicians who holds a passport to the literary world. 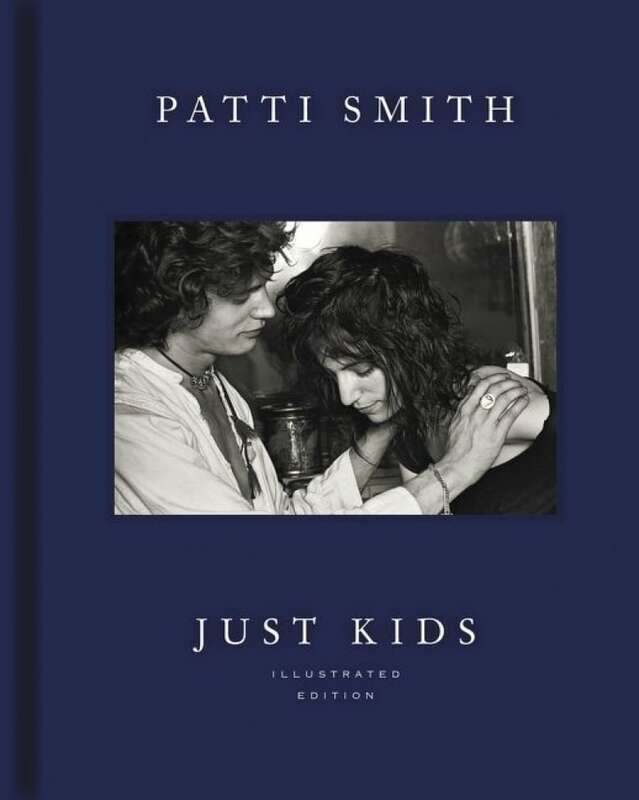 In 2010, Smith won a National Book Award for Just Kids, a memoir about her early life in New York with the radical photographer, Robert Mapplethorpe. Her next memoir, M Train, was a national bestseller and won the U.K.'s NME Award for Best Book. In her latest title, Devotion, Smith explores her inspirations, unexpected obsessions and creative innovations. Back in the mid-'70s, Patti Smith married poetry to the punk movement with her first album, Horses. Its raw style and powerful lyrics made Smith a central figure in New York's alternative music scene. Time Magazine and Rolling Stone both rate it among the top 100 albums of all time. But when Eleanor Wachtel talked to Smith in 2013, the occasion celebrated yet another of her artistic talents. For more than 20 years, she has taken photographs — usually Polaroids — that illustrate her intimate connection to art and artists: from Virginia Woolf's bed, to Modigliani's grave, to a knife and fork belonging to the French poet, Arthur Rimbaud. 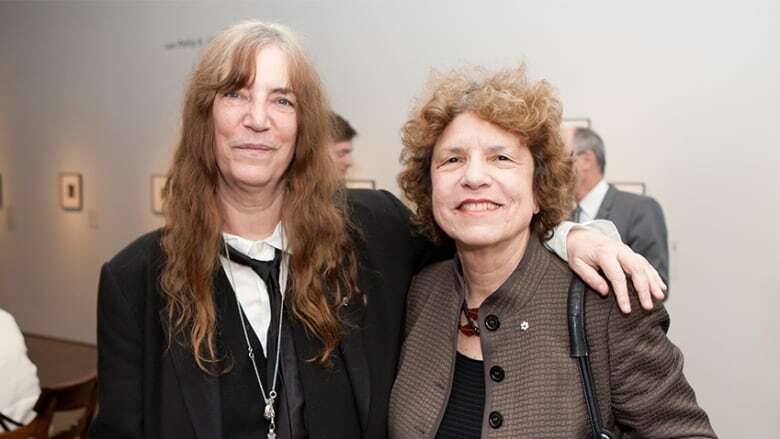 To launch the opening of her photo exhibit, Camera Solo, Patti Smith spoke to Eleanor Wachtel onstage at the Art Gallery of Ontario. "My poor Polaroid camera has been through so much. I've taken it to Africa and 110 degree weather, it's been in freezing cold and on beaches where it's been filled with sand. It's had a rough life with me. But it's my friend, my pal. So I don't feel alone. I have my own imagination, I have my camera and I also have, in the atmosphere of everywhere I go, a certain sense of the spiritual merging with some of my subjects. "It's not just photography, it was the Polaroid specifically. It offered a sense of immediacy. I can get the same sense of gratification or solitude writing, of course, even in writing a song. But often, writing is a struggle, or you have to do several drafts of a poem that might stretch on for weeks or months. Whereas if you take a Polaroid, everything is right and perfect, at least in one's own eyes. You can look at it...and feel a sense of accomplishment." "I discovered Arthur Rimbaud through the painter Modigliani. I loved Modigliani because I was really skinny and I could relate to the skinny frames of his models. I thought he was such a romantic character. Modigliani loved this poet Rimbaud. I didn't know who Rimbaud was, so I researched him and I found Illuminations. "Rimbaud, on the cover of Illuminations, was so cute to me as a 16-year-old girl. I just fell in love with him. I was drawn to to him physically but when I read his poetry, even though I didn't understand all of it at that time, the language just captivated me. It just beguiled me. I read his poetry for the rest of my life. I read it now with the same love and the same fervour. He opened up a whole way of expressing one's self through the prose poem and through the more confessional-type prose poem like Season in Hell." "Even when I'm taking a lot of pictures of people's resting place, I don't think of them as dead. I think, 'Here is an artist.' Whether it's William Blake or Sylvia Plath or Shelley, here is someone that has given me great pleasure and I admire their work. They're in close proximity; their remains are right near my feet. For me, it's a very active, lively feeling. I feel something of their presence. I think about their work — thanking them and feeling their spirit — which is sometimes quite lively." Patti Smith's comments have been edited for length and clarity.